There’s a voodoo priest—a Prophet-Doctor to be more exact; a futuristic time traveller from an old world—meditating on an altar. You’ve been given a mask at the door, but you manage to get a good look at his face through the tiny eye slits. He looks hauntingly familiar. You can’t tell if the mix of voodoo vibes and absinthe cocktails are giving you déjà vu or if—oh wait, no, that’s totally the Haitian dude from Bad Boys II. Hey, didn’t that guy just win an Emmy? And what’s that goat doing there? It’s an ambitious project for sure, but Monsour, who ran previous iterations of Antibellum along with The Future of Junk Food and Chuck Taylor’s Fried Chicken All-Stars, has one of the deepest pop-up pedigrees in the city. And he’s far from flying solo on this. Also lending her talents to the event will be Leah Forester, who created the Venice Supper Club and made waves in the New York fashion industry by pioneering “experiential shopping” in her private boutique, Decollage. The mystique, the allure, the metaphorical (and literal) clouds of smoke will be conjured by creative director Kaya. His event company, House of Kaya, specializes in providing sensorial living artistry with a dark twist. Kiko Ellsworth, who you met when you walked through the door, is bringing more than a decade of acting experience to portray the Prophet-Doctor—the master of ceremonies, leader of rituals, and ultimately (well, maybe) benevolent host. But, obviously, none of it would be possible without his High Priestess played by poet and artist Jessie Oh, a former provocateur at N.Y.C.’s Queen of the Night. Taking care of the apothecary-themed, New Orleans-style cocktails will be Devon Espinosa, beverage director at The Church Key. 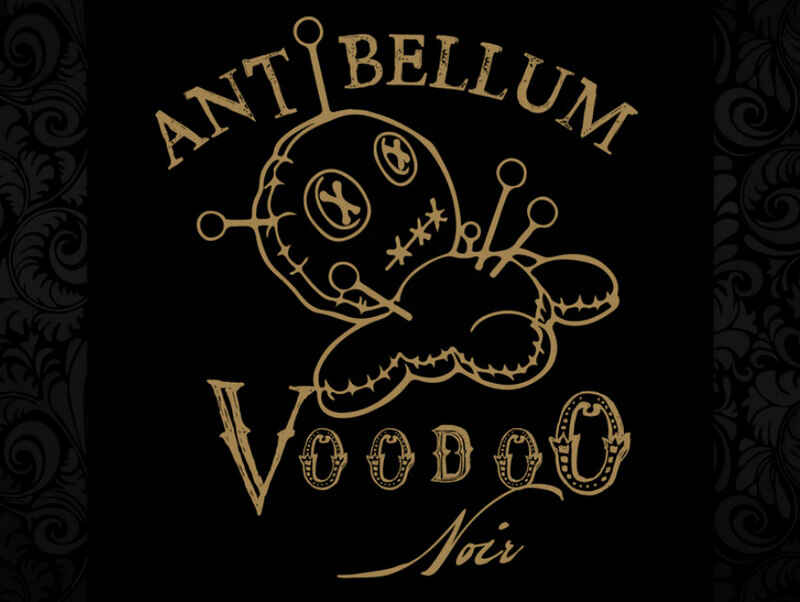 It’s the sheer breadth of artistic collaboration—along with the mention of live goats—that makes Antibellum Voodoo Noir such an engrossing project to watch. With all that talk of black magic and immersive mysticism, don’t forget that there’s still a six-course meal to be had. Expect upscale riffs on New Orleans classics like rock shrimp etouffé with Anson mills grits and catfish mousseline, and playfully macabre nods to voodoo ritual like beef heart with blackstrap Worcestershire, Sea Island red peas, and tobacco leeks; and roasted chicken foot soup with Rancho Gordo hominy and pig ear cracklins. The show doesn’t stop during dinner service either—certain courses will be tied to rituals and our old friend the Prophet-Doctor is sure to make a few appearances. Of course, with such an ambitious project comes an ambitious price tag. Full Experience tickets—which are on sale now at Antibellum’s website—are $333 and Private Suite Experience tickets are selling at $666. The Full Experience includes the six-course tasting menu with pairings and an immersive voodoo noir performance followed by live music and cocktail lounge. The Private Suite Experience tacks on some unique surprises throughout the evening and an ascendance into a private suite after dinner, featuring exclusive bottle service of Perrier-Jouët Champagne and Pernod Absinthe drip, a Voodoo Tarot Card reading, and individualized performances. The first event will be taking place on November 13 and 14 at a secret location in Venice Beach.